I would like thank you for giving this opportunity. My name is Jitendra Ameta. I hail from Udaipur. I completed my graduation in the stream of Information Technology. My hobbies...Read moreI would like thank you for giving this opportunity. My name is Jitendra Ameta. I hail from Udaipur. I completed my graduation in the stream of Information Technology. My hobbies are playing chess, listening music & watching T.V. My strengths: Positive attitude, self motivation. My short term goal is placed in a reputed organization like yours. My long term goal is to get a respectable position in that organization. 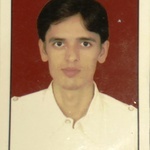 I have 5 year experience in data entry,Web research,Data mining work. This is all about me. Would you like to know any other things about me? He is great to work with - polite, fast, effective. We made some slight changes and need part of the work done quicker than original quoted and Jitendra was super comitted to helping and provided part of the work a little earlier - We are looking forward to the rest of the job being completed. Terrible. Didn't even start on the job. Jitendra is awesome his work good quality and time to submit work .I will again hire jitendra.